As you know, I'm not a world traveler but I would love to be one. Until the hopeful day arrives, I'll continue to live vicariously through the Internet. 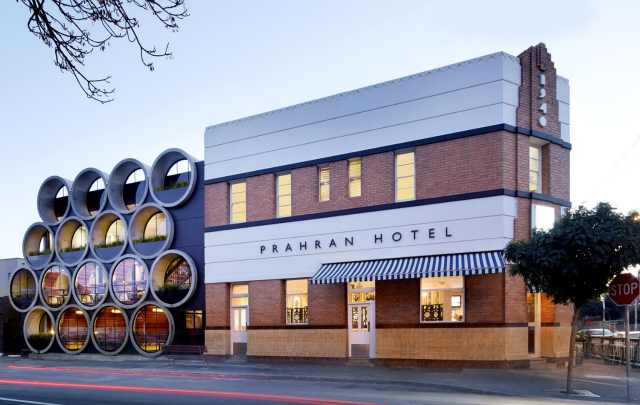 When I stumbled upon this innovative hotel called the Prahran Hotel in Australia I was instantly attracted to the industrial and modern aspects of the hotel's design. 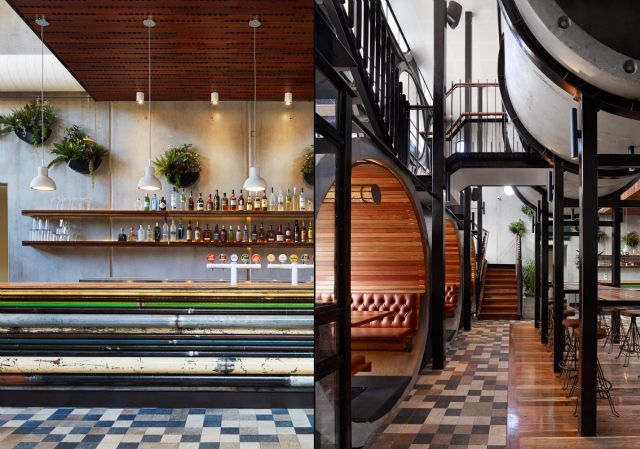 Australian-based architectural firm, Techne, redesigned this 1970's hotel and pub. 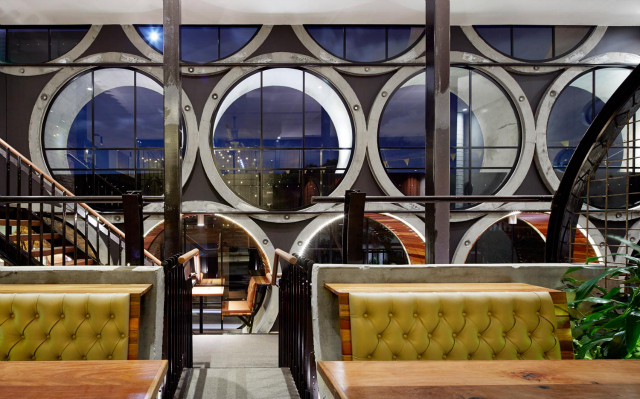 What's most interesting in looking at the building is the use of large concrete pipes as the pub seating area and the result of a circular pattern on the outside. 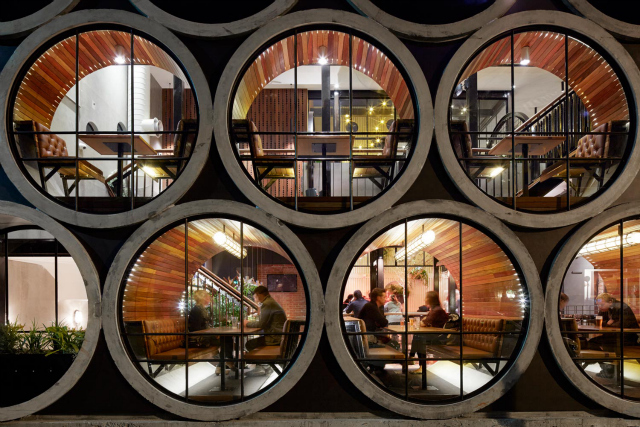 The pipes are stacked on top of each other for the two-story building (17 pipes total). 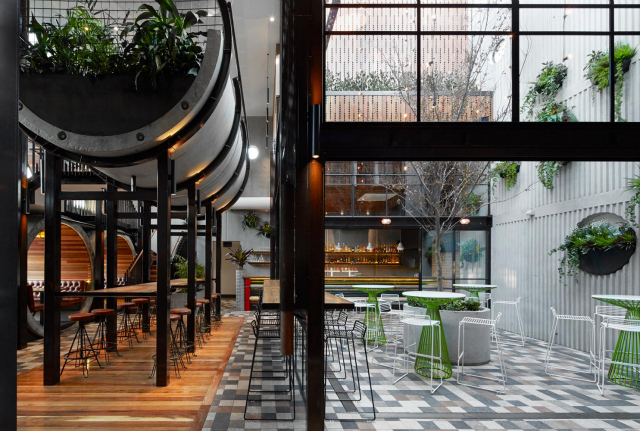 Inside, there's a large open courtyard with plenty of natural light and most of the interior is a mix of concrete and steel. 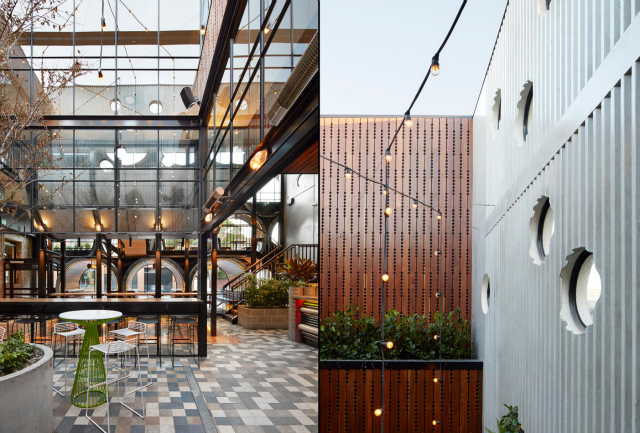 Despite the seemingly harsh materials, the spaces feels welcoming and even intimate. 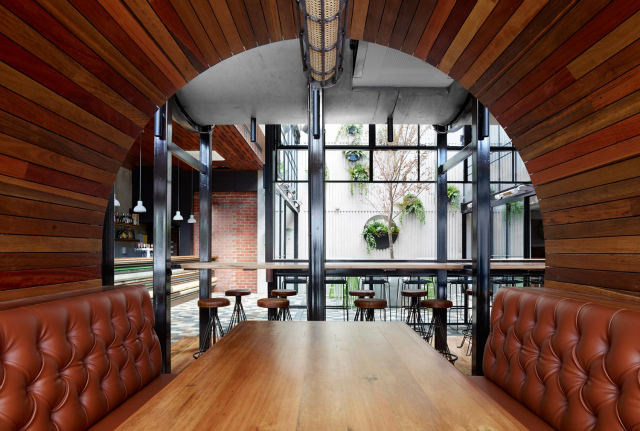 It's not overly designed as most of the materials are what defines the space. Wow amazing place! I would love to be there. That is so so cool! that is so cool! I want to go there too! These pictures are awesome. Unfortunately, I'm the opposite of a world traveler, but I'll live vicariously through you and others! Also, I would love if you could check out a giveaway on my blog (it's only my second giveaway ever)! Your time will come! If you have aspirations to see the world, then I have complete faith that you'll do it. Until then, I'll just drool over these amazing finds that you post on your blog! You're totally right - innovative is definitely the word! i love how they have displayed all of the plants...so pretty!